A cruise can be a great value and very inexpensive way to travel. 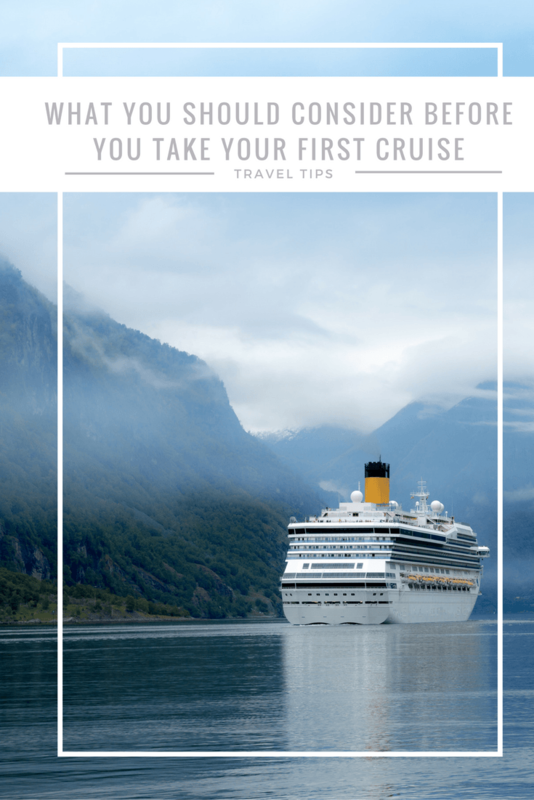 There’s no denying the thousands upon thousands of people that book a cruise among various cruiselines are on to something, but there are a few things you should know before you go and things I wish I had known prior to setting sail that would have potentially enhanced the experience for my family. So, for those contemplating your first cruise, this is for you. 1. Don’t rush out and buy a bunch of new vacation clothes. Keep it simple and wear what you already have hanging in your closet. No one will know the difference. 2. If you plan to arrive a day or two before the ship sails, consider hotels that aren’t necessarily as conveniently located to the cruise terminal. You can stay at a hotel 10-15 minutes from the port and pay a drastically reduced rate with a relatively low taxi fare (or Uber) to meet the ship. Also, when booking a room, call the hotel directly and inquire about shuttle service to and from the hotel, cruise terminal, airport, etc. 3. Parking your car at the port is expensive especially if it’s a large SUV and considered oversized. If you are staying at a nearby hotel, ask if you are permitted to leave your vehicle in the hotel parking lot. This saved us $150! 4. Be prepared to wait in potentially long lines when entering and exiting the ship. 5. Nearly everything is charged to your room, and in turn your credit card (the exception would be any gambling that you do in the casino). You can easily keep tabs on your spending by viewing your charges each day at guest services and remember that you can set limits on what each individual in your room can spend. 6. Make sure your children know stateroom beverages are not for hospitality purposes, you will be charged for each can that is consumed. If they are a temptation, ask your steward to remove them. 7. Make sure you take along some small bills to tip room service as well as tour guides, taxi and bus drivers that you’ll encounter on excursions. 8. Pre-pay your gratuities when you book your cruise so there aren’t any surprises on your final bill. 9. Be prepared to be photographed. ALOT. When you get on the ship, by the pool, in the dining hall and when you exit the ship for an excursion you’ll be photographed. These pictures will cost between $10-$20 each and since they are taken by professional photographers, they will turn out beautifully and you will want them. If you don’t want to spend the money, don’t look at them. Just so you know, these pictures aren’t discounted, even on the last day of the cruise. 10. The crew will try to sell you extras such as pictures (which we’ve already established), bottled water, soft drinks and alcohol. Just say no. These items can easily add up to hundreds of dollars to your final bill. 11. Though your food is free, you will want snacks that won’t be available. Be sure to add a few snacks inside your suitcase. 12. You can eat until you are miserable so just remember, the food will not run out. Also, by the end of the cruise you’ll be tired of eating the same food. Depending on your cruise line, there may not be a big variety. 13. Even though it’s not offered, you can request another plate of food when you are served in the dining room. 14. The ship clears out on excursion days. This is your chance to play in the pool, hang out in the hot tub and sun yourself without the crowds. 15. If you have teenagers that accompany you, don’t be surprised by the amount of time that you WON’T see them. There are plenty of teen activities going on to keep them busy. This aspect may or may not appeal to you. 16. Review the ship’s itinerary each day so you don’t miss any special events or activities. 17. To our surprise, the water in the pool is actually salt water so keep your mouth shut and eyes closed when you dive in! 18. If you don’t want to spend the extra money on an excursion, you may enjoy getting off the ship and taking a look around the port. Even if you don’t venture far you’ll experience some of the culture of the area. 19. Don’t book a cruise during hurricane season if you’re prone to motion sickness. We learned this lesson the hard way! 20. If you’ve never been on a cruise before, start with a short 3 or 4 day cruise. Wouldn’t you hate to be on a 15 day cruise when you decide that this mode of travel is not for you? Have tips of your own? I’d love to hear them! © 2010 – 2016, Tonya Prater. All rights reserved. We're hoping to be able to go on a Disney cruise in a few years. I'll definitely have to keep some of these suggestions in mind! I just wanted to introduce myself as the newest member of the HHM team – I'm looking forward to getting to know you! We felt the same way you did. if not for the excursions, would have been a flop 8( Some people love it, and others, ah..not so much! Great tips. We are saving to go to Disney Cruise in two years and it will be our very first time. Melisa, I don't know if we'll really give the cruise idea another chance or not. We've talked about trying one more small (3 day at most) cruise and then deciding but honestly the cruise itself wasn't the best experience we've ever had. The only reason we would consider anoteher one would be because of the excursions- but we could always fly to our destination and sight see from there. If we'd not gotten off the ship I think we would have been even more disappointed. Maybe we just put too many expectations on the cruise itself. After all, we'd heard how awesome a cruise would be from everyone. It's possible that we just blew it up in our mind.